Branded Bridgestone distance tour golf balls. Price below is for each ball with printed logo in one position. Prices include one color pad printing in one position. Prices do not include GST. Add $75 artwork and set-up cost per color and position for your first order. One Time Artwork and Set-Up Fee Print set-up cost is $75 set-up and artwork fee per colour. For laser engraving and embroidery there is a single $75 charge. Samples We are really happy to send you a sample of any of our products, however we ask that you return the sample within 21 days if you don't wish to proceed. If you want to keep the sample we will invoice you at the 100 unit rate plus $15 freight. Delivery Costs All goods are delivered nationally by UPS Express and charged at cost. Your final delivery cost will depend on the weight and volume of the goods. We will quote you the cost of freight when you order. Payment Payments can be made on any credit card (except Diners), by cheque, direct transfer or cash. There is a 2% additional charge for credit card payments. Charities, Schools, Clubs and Community Group Discounts As part of our community support scheme ZhongYi offer special discounts for non profit organisations and community groups. Tell us about your organisation or event and we'll see how we can help. Link to ZhongYi for a Discount We offer further discounts if your charity, community group, school or club can provide a text link from your website home page. (Note: your site must be indexed and ranked by Google). 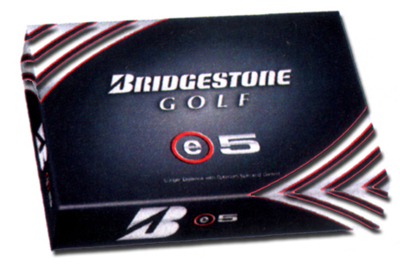 Bridgestone distance tour Zhongyi golf ball. Professional standard distance golf ball. Looking for the perfect promotional idea or specialised products ?